I hope you had a Metal Easter! Mine was great, full of concerts. The first one was on Saturday night, and I was very excited by it. Out of the three bands, I knew only one, I have not heard the music of the two others before. I didn't want to, I wanted to discover them live. It adds a little something, I think. So here we go! You all know I love the Guys and what they do. I'm totally sold, the proof is here. This was the second time I was seeing them live, the first time being at the Revolution Contest 2014, and they were as I thought they would be : Terrific. The acoustic was better than in Rosenheim, the lighting added something nice and more people were there too, so the atmosphere was more aggressive. In a good way. The guys give everything they have, and you feel it. They enjoy playing and interacting with the public, which I like. The mosh-pit was going on for almost all the time they played. Their concert was just vibrant. 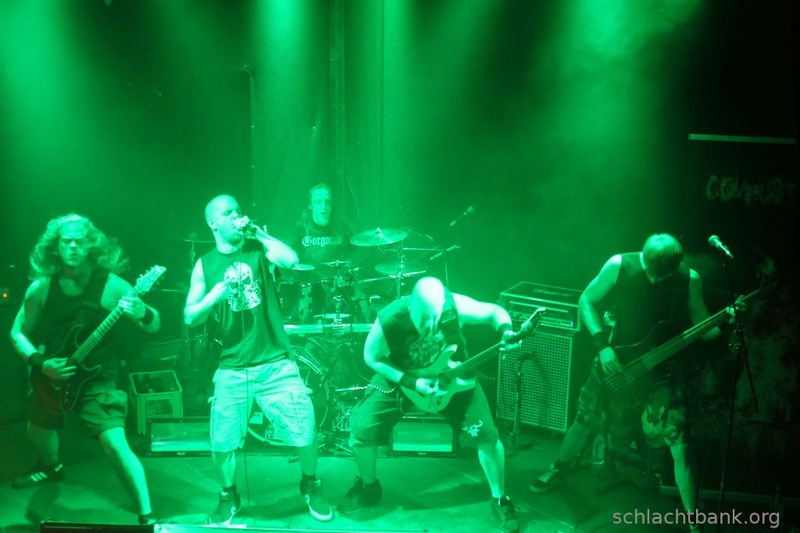 Ferocious Death Metal, with a massive dose of Groove. That's how I like it. Don't worry, I contained myself, no chair was destroyed. They definitely deserve more place in the scene. In Munich and everywhere else. Spread the Brutal Love. Because I will. Awesome Gig Guys! See ya at Death Over Munich! Very often, I attend gigs where I don't know some bands. To be well prepared, I usually listen to their music before the concert, to see how they sound and in which direction they go with their music. If the performance is not that great, I still can like the actual music and I will probably try to see them again. But sometimes, I don't. I just go to the concert without a clue of what they are gonna play. In these situations, it's all or nothing. I either really like it, or I really dislike it. I have not listened to anything from Cripper before seeing them. Verdict? I am all about them. Their music is so powerful, it almost hurts. They play a brutal Trash, fast and heavy. Headbanging mandatory. The band is also great on stage, and I appreciated how the singer came down into the crowd while singing. It creates a great connection between the band and the public. Talking about the singer, I want to give her a big shout out. Her vocals are to die for. 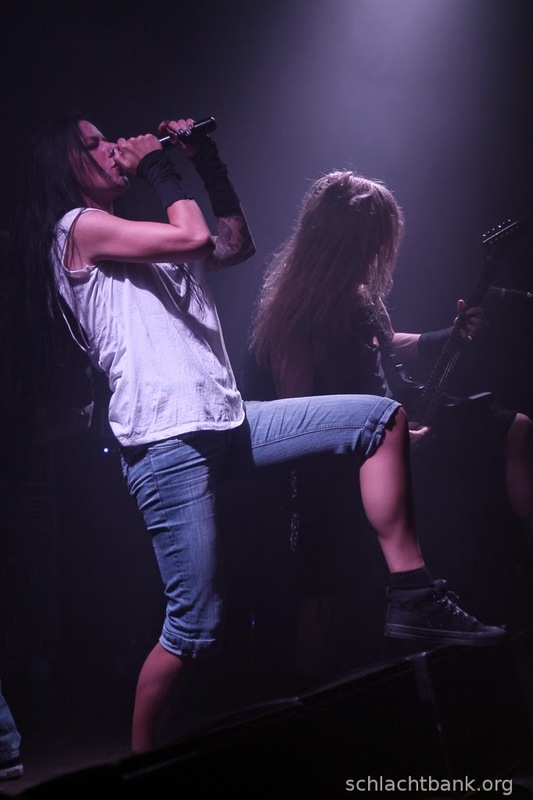 But beyond anything else, I deeply admire her to put herself out there as a Female Metal Singer. Being a girl in the Metal World is not always easy, and I only have a Fan's point of view. I can't imagine what it is to be on the stage. You have my total and deep respect. 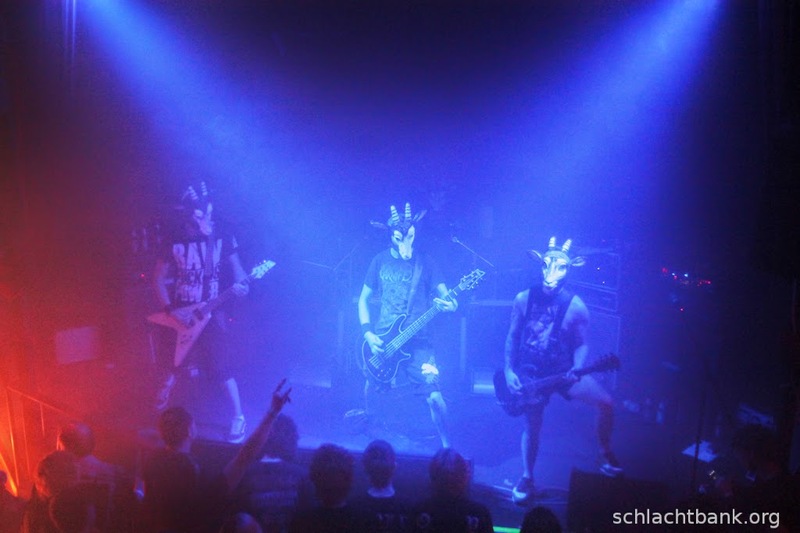 A bunch of guys with Goat masks. As a Metalhead, I first linked their goat symbol with Baphomet. As a Historian, I then linked it with Khnum, the Egyptian god of the Nile. I was wrong. They invented this planet, GoatEborg, where they are from. Go on their Facebook Page, and read it, it's funny. I like when bands do that, when they create a whole new world around their band, something unique they play with. So these four guys arrived on stage, with their masks. Have you seen this Horse mask, that is everywhere on the Internet? I find it creepy. The idea of an human being with an animal head is very disturbing to me, I don't know why. I kinda like it, but it still blows my mind. 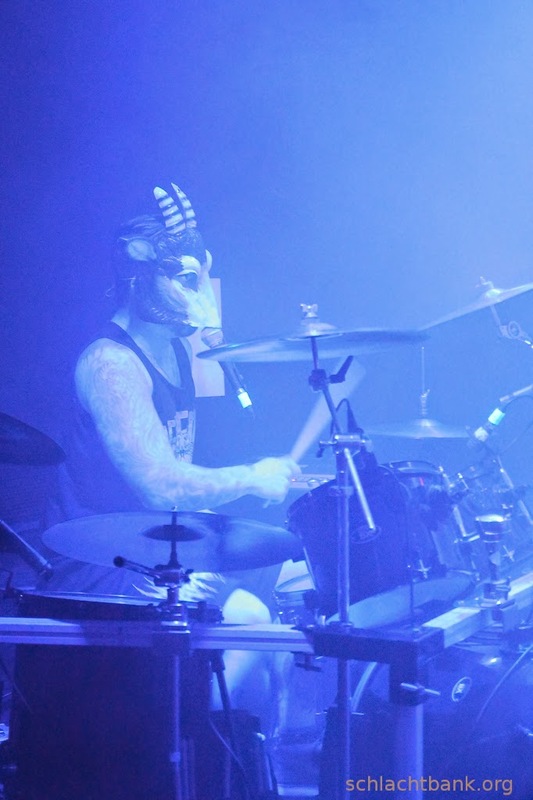 So seeing these four half-man, half-goat playing music, with a bunch of people in the crowd wearing the same masks was creepy as hell. Cool, but weird. I guess this is the effect they want to give. It works with me. For the music itself, Holy Goat, I loved it! A heavy Grind\Death. Awesome! They played some original compositions, but also some covers. Honestly, I'm glad they said which one was which one, because they changed the original so much, I would not have been able to recognize it. Overall, I liked it. A lot. Something I want to emphasize is that the drummer is also the singer. I have personally never seen it. This guys, Goatleeb Udder, is mind blowing. I was totally flabbergasted by him. His vocals are terrific, his drum is also awesome, and at some point he changed place with a guitarist. Or was it the bassist? I'm not sure. I didn't know what was going on. I was also confused when they left the stage. Four others guys, wearing masks as well (no goat this time, but other crazy stuff), arrived, played a song, and left. The Goats came back and played like nothing happened. They gave a crazy performance, their music is amazing. I like them. I enjoyed the night very much! Thanks to the band, and also a big thank you to Stefan, who let me use his pictures! Your shots are awesome!! And this is how a team collaboration was born!